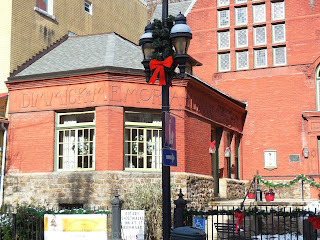 If you live in Pennsylvania and are itching for a change of scenery, it's likely that Jim Thorpe, located about 75 minutes from Philadelphia and just 30 minutes from Allentown, is a good choice for a day trip. 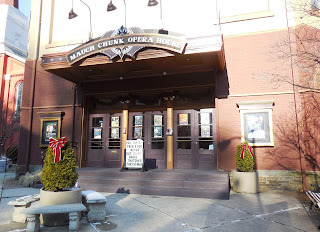 The town of Jim Thorpe was originally known as "Mauch Chunk," a derivation of a phrase meaning "Bear Place" in the language of the native Munsee-Lenape Delaware peoples. 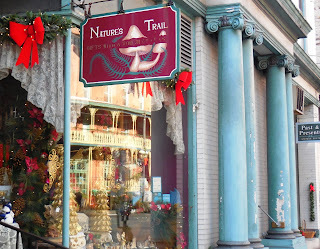 This quaint little gem of an area is located in Carbon County, Pennsylvania and has been deemed the "Switzerland of America" by the Swiss Tourist board due to its mountainous terrain, attractive scenery and stunning architecture. During the summer, outdoor enthusiasts flock to the area for hiking, biking, rafting and kayaking and for leaf peepers, it's a stunning fall destination. 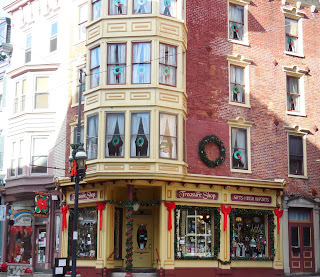 Tourists aren't as plentiful this time of year, but that's what makes it especially appealing to those who enjoy a more laid-back atmosphere. Christmas shoppers can take their time strolling along the streets and viewing the many attractive homes and quaint shops that line Broadway and Race streets. 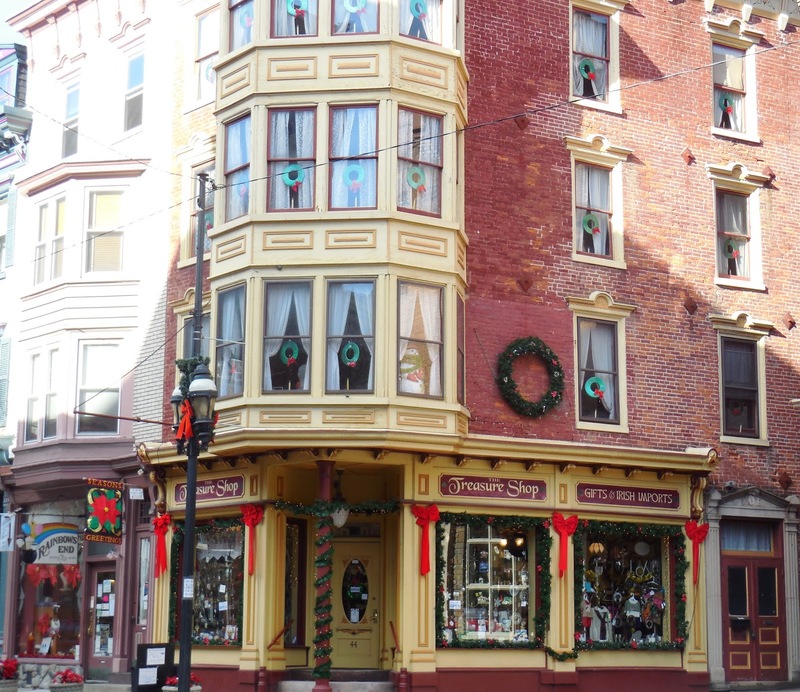 Beth Beers and her mother operate a shop at 31 Race Street called "Everything Nice Gift Shop," which features a wide variety of gifts, including games, home decor, candles and toys, to name a few. Beers meets people who visit from all around and is often amazed how far people travel. "This sleepy little town was on their list of places to see," she said. 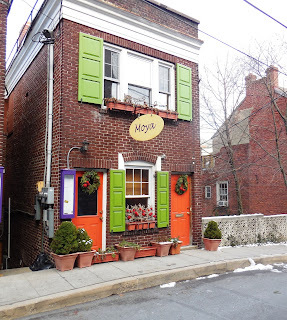 For those who are interested in staying overnight, there are several choices in the heart of town including "Rosemary Remembrances II guest lodging," located off Trapp Alley. The studio apartment is equipped with everything you need to stay one night, or several days, including a refrigerator, stove, cabinets full of dishes and a dining table. For those who prefer to stay at a Bed and Breakfast, The Times House on Race Street is elegantly appointed and centrally located. The building was home to "The Times-News," from 1927 to 1967. For Diane Prokop, a freelance writer who worked for two newspapers with the word "Times" in their names, the purchase was meant to be. 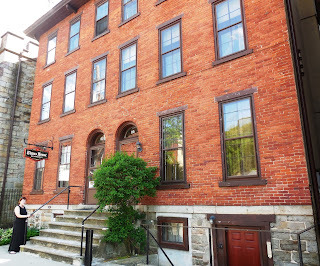 The Times House Bed and Breakfast was once home to a newspaper business. 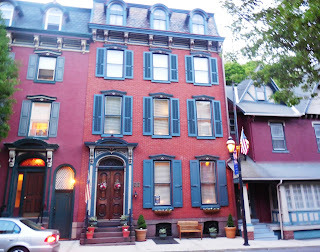 Another convenient choice steeped in history is the Inn at Jim Thorpe, which dates back to 1849. More information on the history of the Inn can be found here. 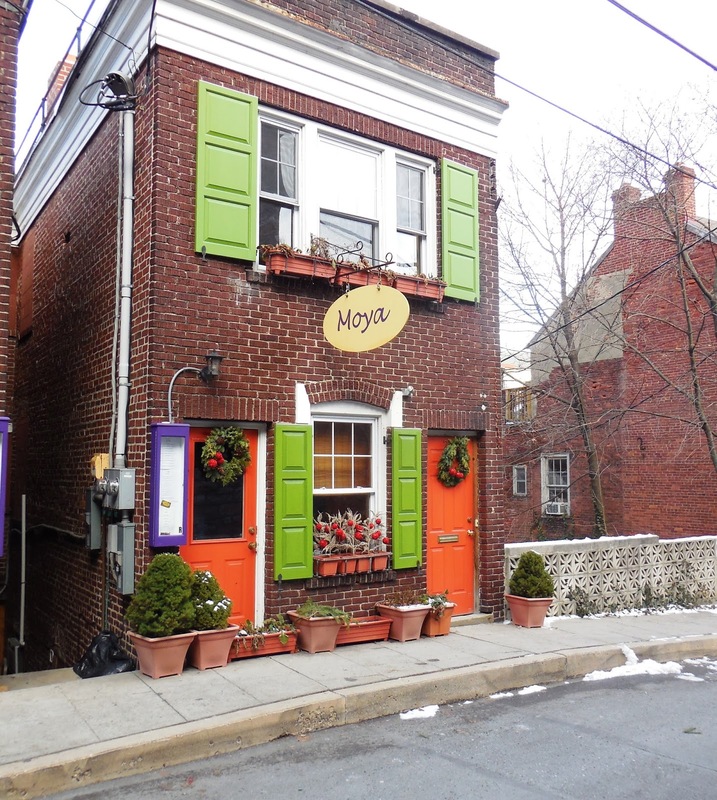 Dining options are plentiful around town and range from casual establishments like the Molly McGuire's Pub and Steakhouse, owned by the Behan family of Dublin, Ireland, to more upscale options like Moya and Tony Stella's Encore, which he operates from a mansion once owned by General Charles Albright, the lead prosecuting attorney of the notorious Molly McGuires. Encore is especially known for its elegant dinner fare, featuring lamb, veal, seafood and beef, with owner Stella often taking the reins in the middle of the dining room flambeing bananas Foster for some lucky customer. 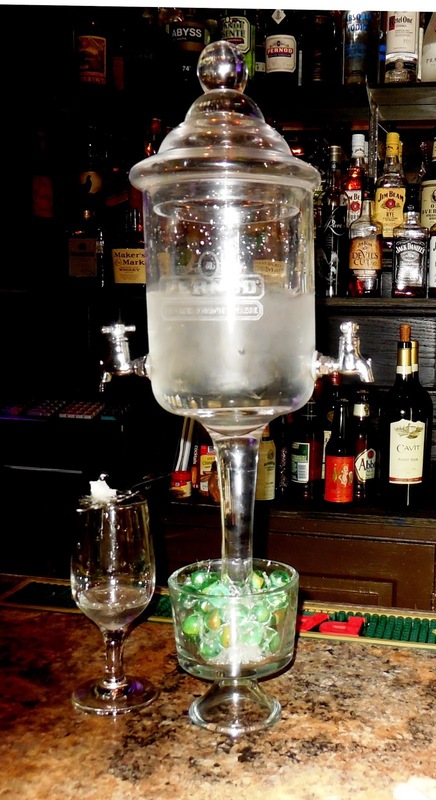 Before departing, be sure to check out the absinthe room in the rear of the restaurant. 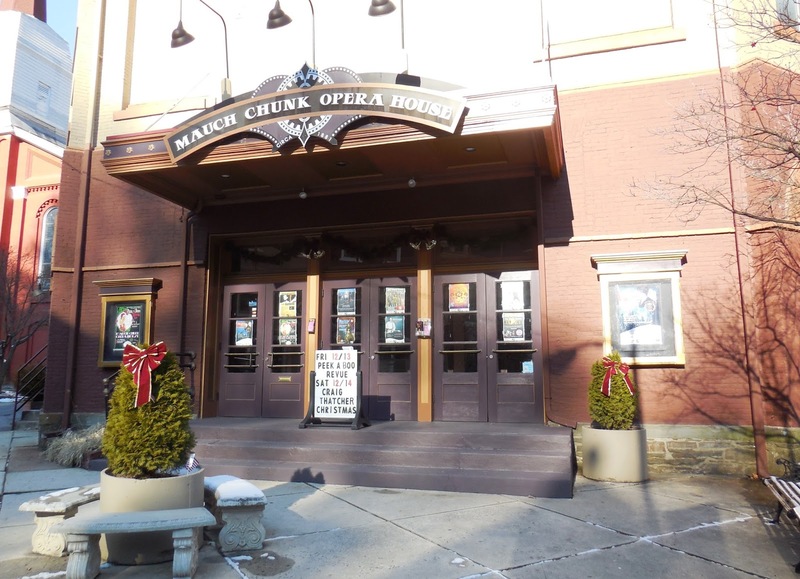 For musical entertainment, look no further than the Mauch Chunk Opera House. The historic building opened in 1882 where the comedy Edgewood Folks was performed before a packed house. The old Opera House soon became a regular stop along the Vaudeville Circuit, with Al Jolson and May West performing regularly. It ceased operations as a performing venue in 1959 as audiences dwindled due to the popularity of television and movies. 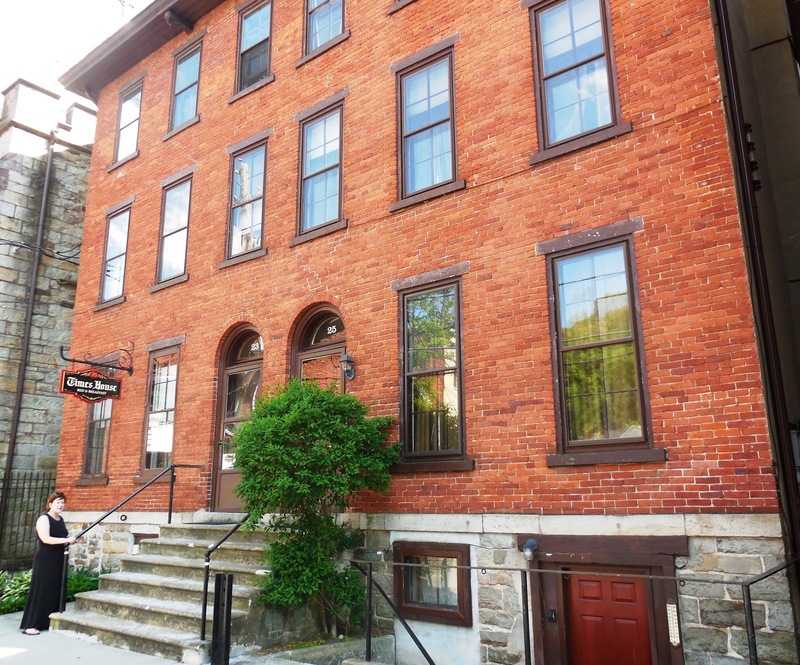 For years, the building was used as a warehouse, until the Mauch Chunk historical society purchased it in 1974 and set about bringing the building back to its former glory. Today, music takes center stage, with a Grateful Dead tribute band slated for December 18 and a Springsteen Tribute Band scheduled for December 26, along with a New Year's Eve Dance party on December 31. Learn more about upcoming shows in 2016 here. A bit off the beaten path is Penn's Peak, which is also a well-attended music venue, with a gorgeous view, especially in the summertime. Learn more about Penn's Peak and upcoming shows here . These few suggestions should keep you busy during your time in Jim Thorpe.You'll pass by the historic Dimmick Memorial Library which is located in the center of town and dates back to 1890. Don't fail to stop in and take in the beautiful wood work. Dimmick Memorial Library dating back to 1890. The Asa Packer Mansion and the Old Jail are stories that should be told too. I'll post more about them at a later date since they aren't slated to reopen until May. This is a great place organize an event; they have great staff and great events put on here! I had nothing but great times and great conversations at event space San Francisco here. They served slider and shrimp cakes as appetizers with chicken skewers, and eggrolls that had veggies on the inside and some kind of creamy fruit sauce on top. It's a fun place to visit and beautiful as well.